Join Zack Shavin, veteran guide and archaeologist, for a day of touring in northern Galilee: Old Safed, synagogues, artist quarter, and stories of the rabbis that brought the kabbalah here from Spain in the 16th century following the expulsion of Jews from Spain in 1492. Continue north via the Hula Valley, Tel Hazor, biblical Dan (Jeroboam erected the golden calf), and the Banias springs, source of the Jordan river and site of Caesarea Philippi, where Simon received the name Peter. 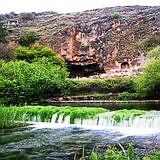 Continue up to the Golan Heights, volcanoes, battlegrounds from the 1967 Six Day War and 1973 Yom Kippur War. End with a visit to the famous Golan Winery (time permitting). 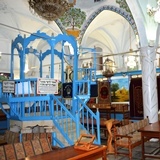 • Safed synagogues, kabbalah, & artists qtr.